ModuTile proudly offers custom floor graphics for indoor and outdoor basketball courts. Many customers are excited to uniquely brand their basketball court with their last name as seen on the pictures below. Alternately, you may opt to print your school or team names on the sport court tiles. You are not restricted to just names, we can print player silhouettes or your original designs. 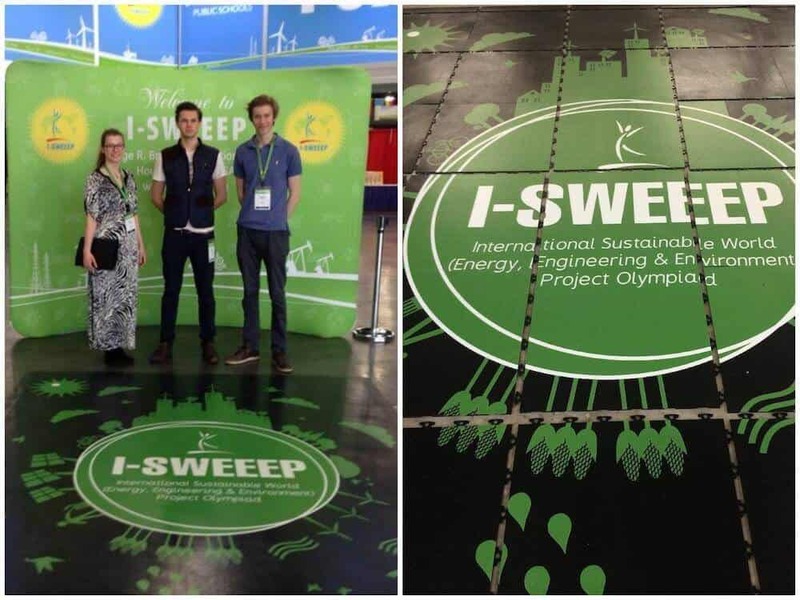 Display your enthusiasm and creativity with floor graphics. We custom print all graphics directly onto the sport tiles for maximum durability. For outdoor sport courts, custom graphics are available only on the 12-inch perforated polypropylene tiles. You can brand your new outdoor basketball court with your first or last name and really make it your own. Imagine your name printed on the customized sport court in your favorite colors. We can gladly make it happen for you. 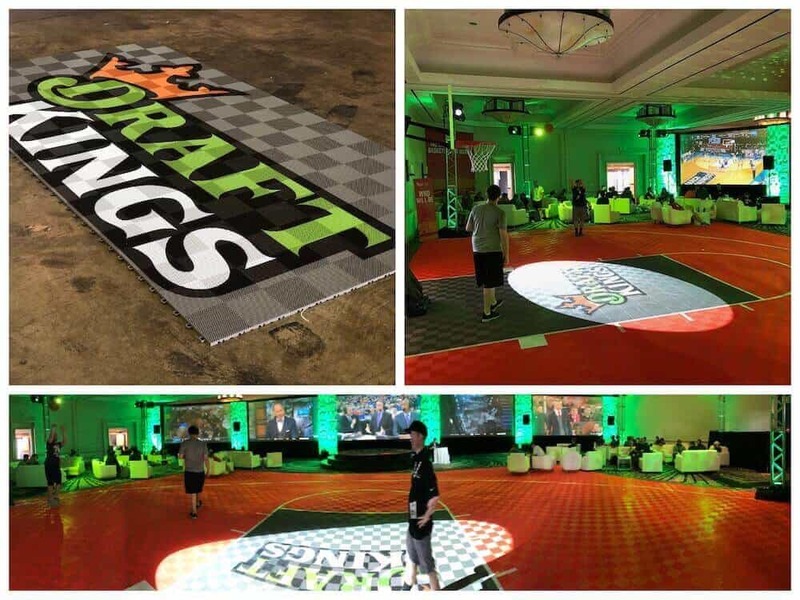 The Draft Kings basketball court pictured here was created for their annual basketball draft party. The court was used indoors over commercial grade carpet and looked fantastic as you can see. Let us print your logo for your corporate sporting event flooring. Celebrate your school team spirit with your basketball court floor. 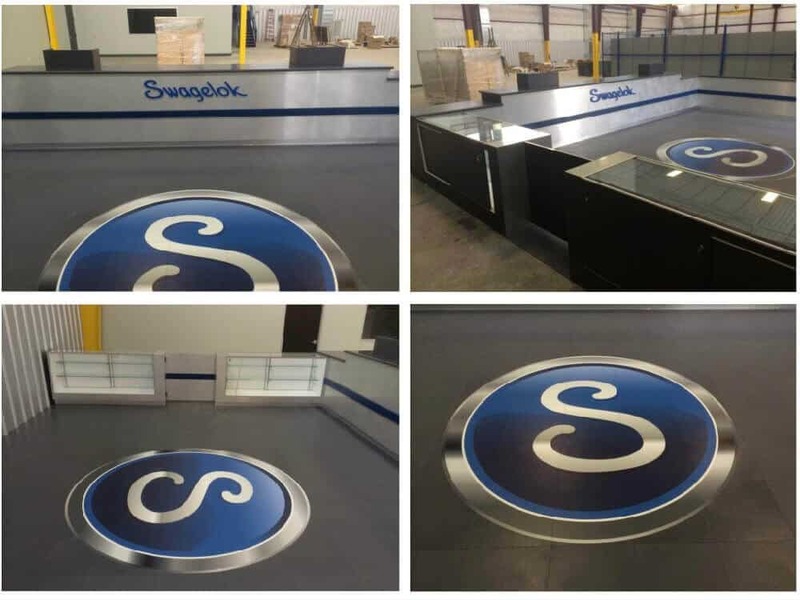 Our custom floor graphics are the perfect way to make your sport court investment feel extra special and express your team pride. Our trade show flooring is a great way to make your space look professional and elegant. For added style, we can customize the tiles with your logo or special message to really give you an aesthetic edge over any competitors. 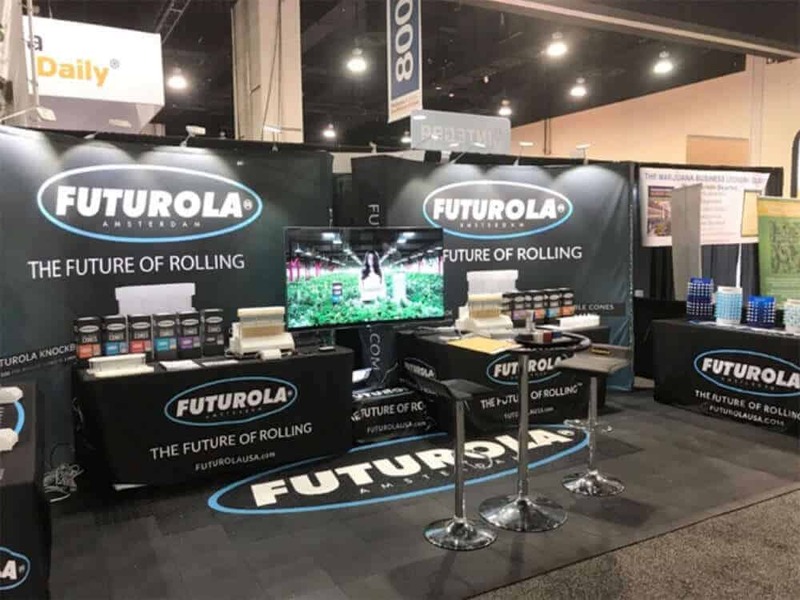 Adding graphics to your trade show floor tiles will greatly enhance visual recognition of your business and capture your customers’ attention. Graphics can be printed on any of our 12-inch polypropylene tiles or 18-inch flexible PVC tiles. This trade show floor was created using ModuTile’s 12″ Diamond Top interlocking floor tiles. The logo was directly printed on the tile. This trade show floor graphics was created using ModuTile’s 18″ multi-purpose flexible PVC interlocking floor tiles. Large display booth created using ModuTile’s 18″ flexible PVC interlocking floor tiles. The logo was directly printed on the tile for enhanced branding. Your floor graphics questions, answered. What type of file do you need to make my floor graphics? For best results, we need vector files in the following formats: EPS, AI, SVG or PDF. We can also use high resolution (300dpi or more) JPEG, but it will compromise the output resolution. Please contact us with any questions you may have about file type and resolution requirements.